Kingwell Ceramic Fiber Paper is formed from ceramic fiber mixed along with binders, with high thermal capacity, excellent resistance to corrosion, good thermal resistance to shock, low thermal conductivity, good electric insulation, and good springiness. 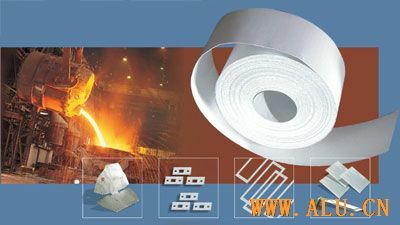 It can be used for thermal insulation, sealing, electric insulation, sound absorption, filtration etc instead of asbestos products as a kind of advanced light refractory material. Serving Industries: Steel and metallurgy, Petro-chemistry, Automotive, Aerospace, Appliance, and many more. P.S: We could customize various flexible or hard Ceramic papers to meet customer’s specific request. Resoluble Ceramic fiber papers are also available to order.